Bald Eagle Bash prides itself on showcasing fresh Gulf shrimp dishes prepared by some of the area’s finest chefs! Each year, over a dozen area restaurants participate in the Bash, creating unique and flavorful dishes, while several more restaurants prepare delectable desserts to top off a great dining experience. 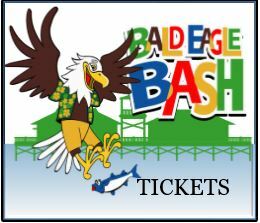 If you would like to be a 2019 Bald Eagle Bash restaurant, please email us at diana@weeksbay.org or give us a call at 251-990-5004!